During a trip to Miami, a major department store makes an offer to purchase Dash, leading Kim, Kourtney and Khloe to argue about the future of their stores. 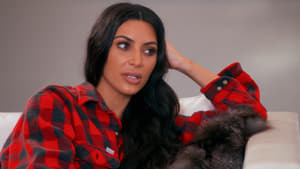 Meanwhile, Kourtney struggles to enjoy herself while in Scott's presence; and Khloe keeps Kim in the dark about her new relationship. Kourtney is eager to experience Paris Fashion Week with Kim and see Kendall walk the runway for the first time, but their trip to the city of love takes a dark turn when Kim is robbed at gunpoint. After Paris, Kim struggles to cope with scary reminders of the robbery, Kendall questions her decision to prosecute a trespasser, and Kris focuses on increasing security for the family. Kim undergoes one final procedure on her uterus in an attempt to carry another baby, but suffers from dangerous complications; Khloe worries about her business successes; Rob must learn to ignore criticism from his family. 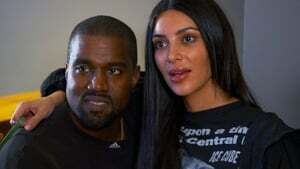 Kim begins to ease back into her public life, but is blindsided by some upsetting news about Kanye. Meanwhile, Khloe is pressured to mend her strained relationship with Cait; the family speculate about Kourtney and Scott getting back together after an intimate trip to Mexico; and Rob welcomes his first baby. After receiving some troubling news about Kanye while in New York for the Angel Ball, Kim rushes home to his aid; Kendall worries that a bad review from Vogue could jeopardise her modelling career; Khloe clashes with Malika over priorities. After a fight with Chyna, the sisters try to protect Rob from a toxic relationship. Kris tries to rebuild her relationship with Cait and Kim tries to convince Khloe to make an ex-box. Scott is devastated when he hears a rumour about Kourtney; Kim is back to work and fears she might not be cut out for her public lifestyle anymore; Kendall gets upset with Caitlyn when her efforts to spend time with her dad are taken for granted. After Kim busts Scott with a girl in Dubai, the family is surprised Kourtney allowed him on the family trip; the sisters discover Scott has invited yet another girl to join him in Costa Rica, the family decides it's time for Kourtney to confront him. 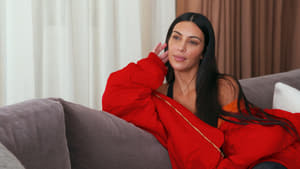 The family confronts Scott about his unwelcome guest; Kourtney informs him that he's ruined any chance of getting back together; Khloe is fed up with her family's attitude; Kim anxiously prepares to testify against the men who robbed her in Paris. Kim and Kourtney force Khloe to take a sentimental sister trip to Palm Springs to relive some of their fondest childhood memories; to save his relationship, Rob meets with a life coach; Kris receives an outrageous proposition from a royal family. Rob struggles to find a way to be civil with Chyna for their daughter; Khloe puts Kourtney through a series of silly tests to cure her indecisiveness; Kim jets to New York with Kylie for Kanye's highly-anticipated Yeezy fashion show. Kim becomes torn over maintaining a relationship with Cait; she confirms that her mom's reason for cutting ties is valid; Kendall introduces her sisters to the first openly gay royal; Rob implements his own time of the month.